“While the food bank is grateful for any and all non-perishable donations, some are better than others,” explains Katharine Schmidt, executive director for Food Banks Canada. Whether it's two feet of snow on the driveway or slush that turns a parking lot into a hockey rink, Canadians face some unpredictable harsh winter driving conditions. The Niagara Regional Police are requesting the publics assistance with regards to a missing person. 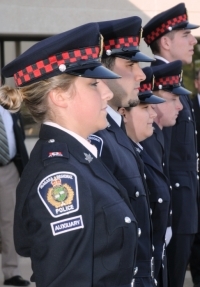 Auxiliary members provide a very valuable volunteer service to the Niagara Regional Police Service and their Community. 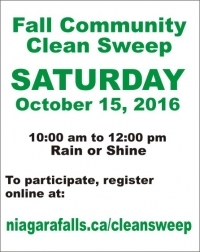 The City of Niagara Falls and The Park in the City Committee invite all residents to participate in the Fall Community Clean Sweep. 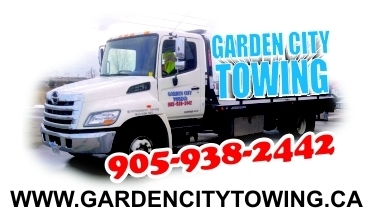 Sitting in this type of exasperating traffic on hot summer days discourages visitors from attempting to come to Canada, hampers the movement of goods in both directions, negatively affects commercial enterprises on both sides of the border, clogs local streets and major highways and degrades the environment. The evidence on all counts is clear. So now I'm in the harness, I'm connected to the zipline, I'm sitting and swinging waiting.. Line 1 clear, line 2 clear, line 3 clear, line 4 clear -- the gate slides open and -- the call for -- all launch! 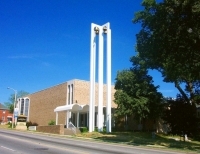 The new owners of this building have proposed that Niagara artists convert this beautiful and spacious building into a public art centre.